75" round x 72" long with 3 leaves. 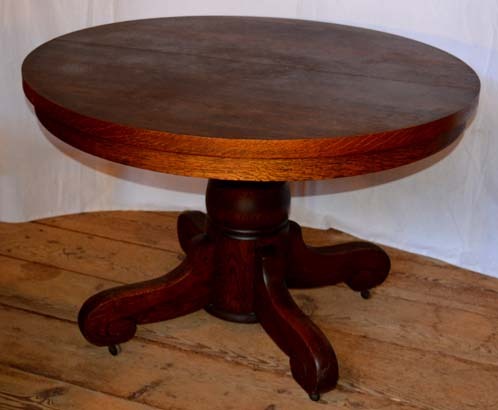 This 45" Round Oak Table with 3 Leaves is a buy! 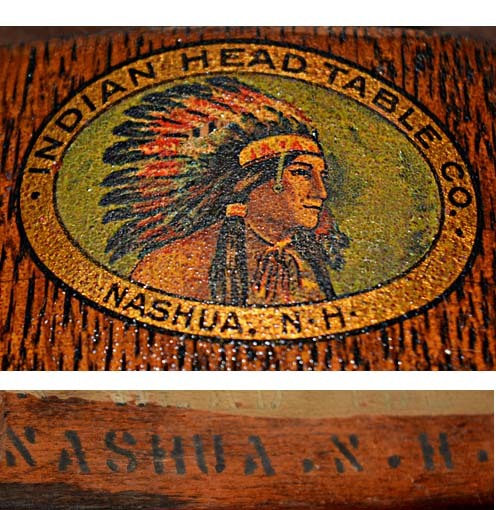 The table top and the pedestal are both marked Indian Head Manufacturing Co., Nashua, New Hampshire. This is not a marriage as the top and the pedestal started life together back during the 1915 era. 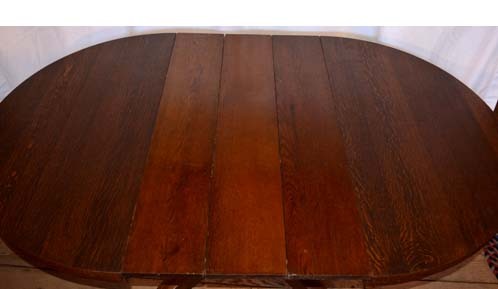 The table and the leaves are in the original finish, and the leaves are original to the table. Without any leaves inserted, the table is 45" round, and with the leaves it expands to 72". 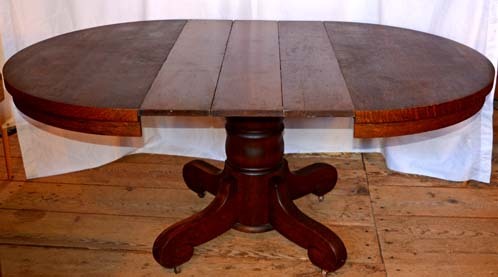 The base has rolled feet and is large enough to make the table sturdy, even with the leaves in use. This is a fine antique from the turn-of-the-20th century at a bargain price!